Fall is here! What are you going to wear? With every new season comes a new hot color for your closet. Luckily, we know exactly what all of you fashionistas should be sporting this autumn. We’re a big fan of warm taupe and sharkskin grey this season. Warm taupe is a timeless shade that is both bohemian and stylish. This neutral color suggests an organic appeal and a reassuring vibe to the eyes. Our Esperanza Lamb Fur Fold Over Clutch in Beige accentuates a casual outfit and holds your necessities while remaining fashionable and trendy. This taupe item simply slays to be worn with a classy black ensemble. Warm taupe can be worn from head to toe! Our Jewel Knit Headband with Crystal Fox Fur Strip is a timeless piece that doubles as a neck warmer for fall. You might also like our Marissa Chunky Knit Beanie with Fox Pom Pom in Stone to keep your head cozy in the chilly months. This season can be a bit cold, so it’s best to stay covered up. Speaking of staying warm, we’re a fan of the Fingerless Rabbit Fur Knit Gloves in Pearl. These comfortable accessories keeps your hands free for other activities while regulating your body temperature. Don these accents with a casual coat or a formal dress. Another hot color for fall is sharkskin grey. This versatile shade pairs with both vibrant and muted shades. 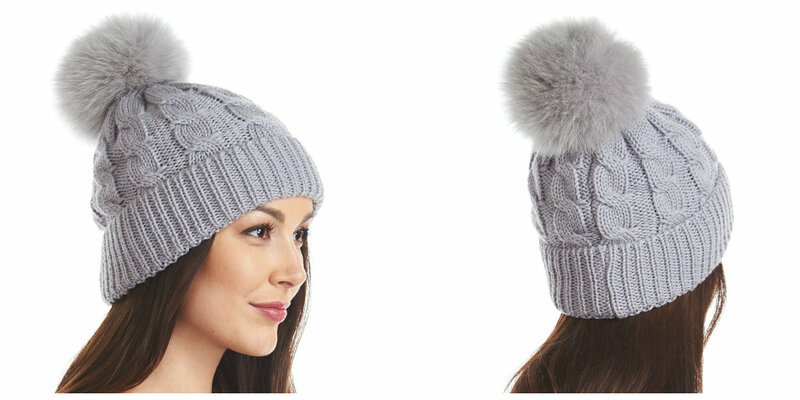 You’ll love the classic appeal of our knit beanie with pom pom in grey. This cozy sharkskin accessory is adjustable and comfortable. Another great item is our Jewel Knit Headband with Silver Fox Fur Strip in Grey. 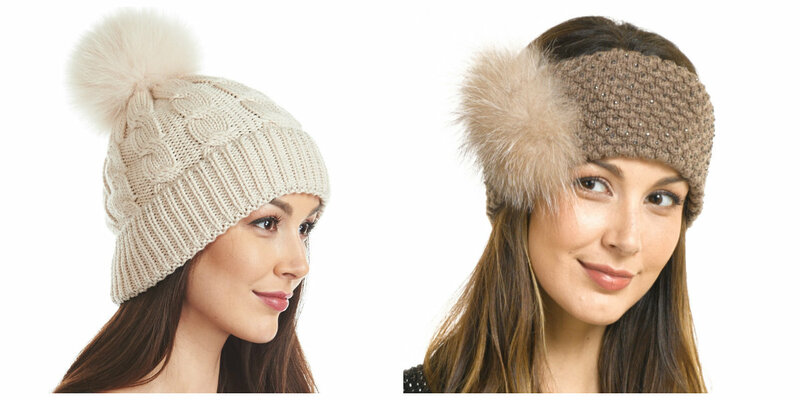 This trendy accessory keeps up with the trends while helping you stay warm. We’re also big on the Esperanza Lamb Fur Fold Over Clutch in Grey for a neutral accent to your favorite outfit. 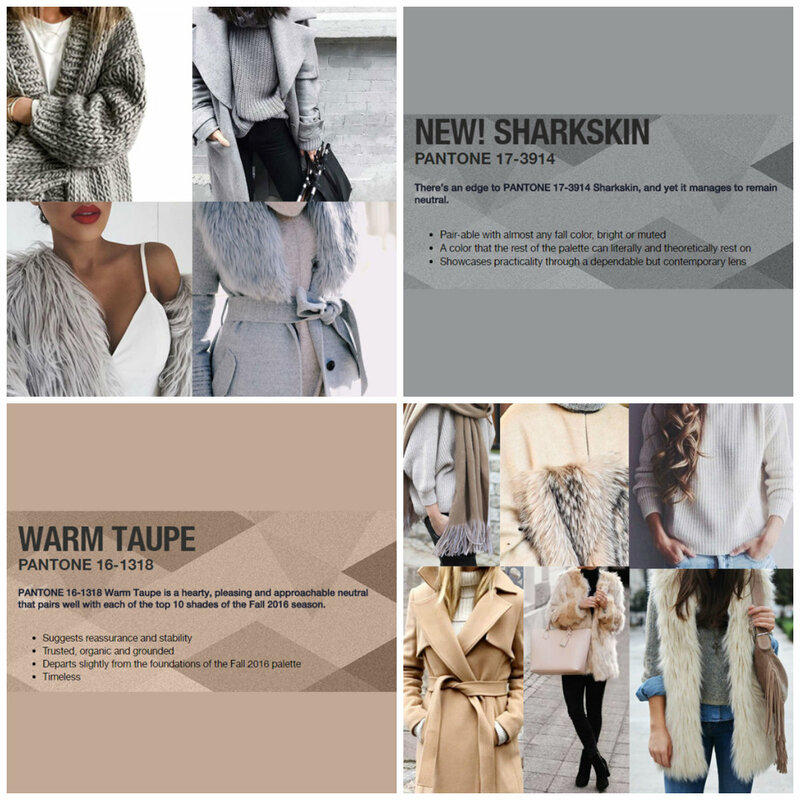 Taupe and sharkskin are all you need for a trendy fall wardrobe. Pair these pieces with a fabulous ensemble and prepare to feel the breeze in your hair. You’re sure to love this fall as much as we do, so watch the leaves and witness autumn turn. Happy fall!